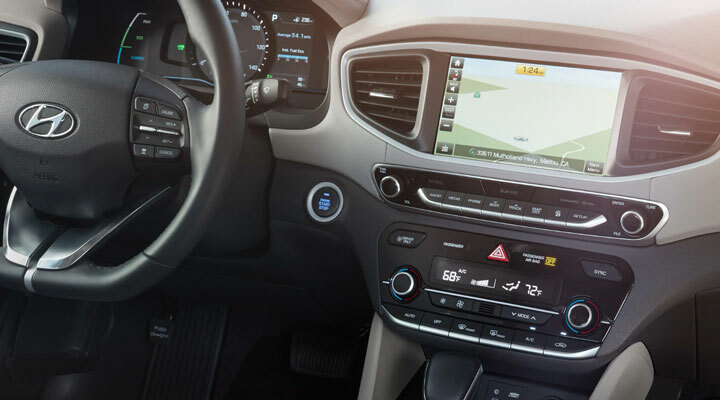 When you drive around in the new IONIQ Plug-in Hybrid trim, enjoy the features of a 7-inch color audio touchscreen with Apple CarPlay™ and rearview camera plus Blue Link Connected Car Services. Upgrade to the IONIQ Plug-in Hybrid Limited trim to experience everything the standard trim has, plus safety features such as lane keep assist and driver attention warning. When you drive around the Modesto, CA area in the new 2019 Hyundai IONIQ Plug-in Hybrid, you experience a hybrid vehicle that has both efficiency and technology working together to give you the smoothest ride possible. 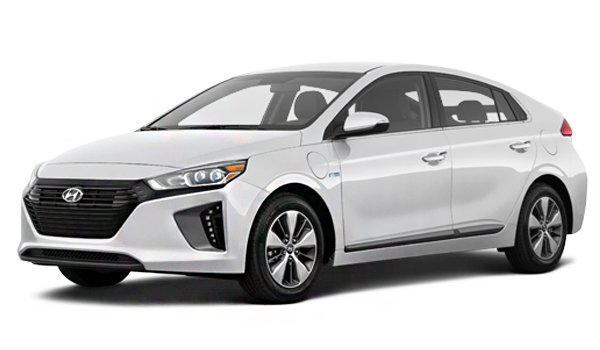 The new 2019 Hyundai IONIQ comes with an all-electric range mode, allowing you to drive up to 119 miles per gallon electric and 29 miles on gas, ensuring you have the distance for your next charge-up. 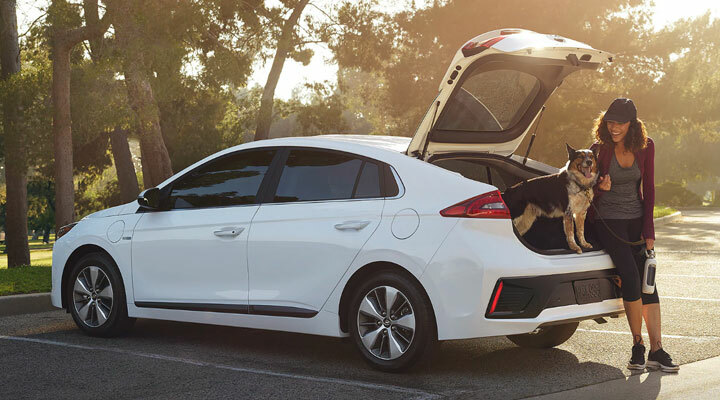 The new 2019 Hyundai IONIQ Plug-In Hybrid has more than enough space to accommodate all your friends, family, and gear. Plus, with the available power-tilt and slide sunroof, you can create an area with more open space and natural light - all at the touch of a button. 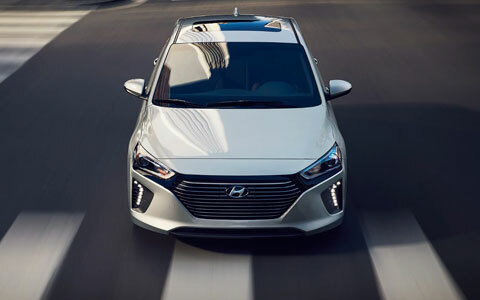 If you would like to learn more about the new 2019 Hyundai IONIQ Plug-In Hybrid, contact our Premier Hyundai of Tracy dealership to learn more and to schedule a test drive. We invite you to experience the luxurious exterior of the new 2019 Hyundai IONIQ Plug-in Hybrid. Enjoy the aerodynamic design that works for you with the front grille’s air flap that is integrated with auto-pivots technology to improve the vehicle airflow. Plus, enjoy technology like the Anti-Collision tech that lets you know if you are getting to close to any object with driving. And when you work with us at Premier Hyundai of Tracy in the Livermore, CA area, you can take advantage of our expert service and maintenance team for all Hyundai models. Visit us today to learn more!